Is it time to replace tipping? Fight for $15 shared ATTN:‘s video. The real history behind tipping is surprisingly racist. Author John HannoPosted on January 19, 2018 Categories Injustice Anywhere is a Threat to Justice Everywhere, MLK jr, Labor and Working, Politics in America, Today's News?, VeteransLeave a comment on Is it time to replace tipping? Watch: These three young girls have a powerful message for America. Video by Get Lit – Words Ignite, Give them a LIKE! These three young girls have a powerful message for America. “Let America be America again — the land that never has been yet — and yet must be.” Words which have never rung so true. "Let America be America again — the land that never has been yet — and yet must be." Words which have never rung so true. Joy Reid responds to Pastor Mark Burns, who said that she should "move to Haiti"
We agree, Anderson Cooper. Haiti is anything but a shithole. Ohio has purged 2 million voters from the voting rolls since 2011, with Black voters twice as likely as whites to be purged in the state’s largest counties. The GOP wants to do this everywhere – the Supreme Court must stop them. Ohio has purged 2 million voters from the voting rolls since 2011, with Black voters twice as likely as whites to be purged in the state's largest counties. The GOP wants to do this everywhere – the Supreme Court must stop them. 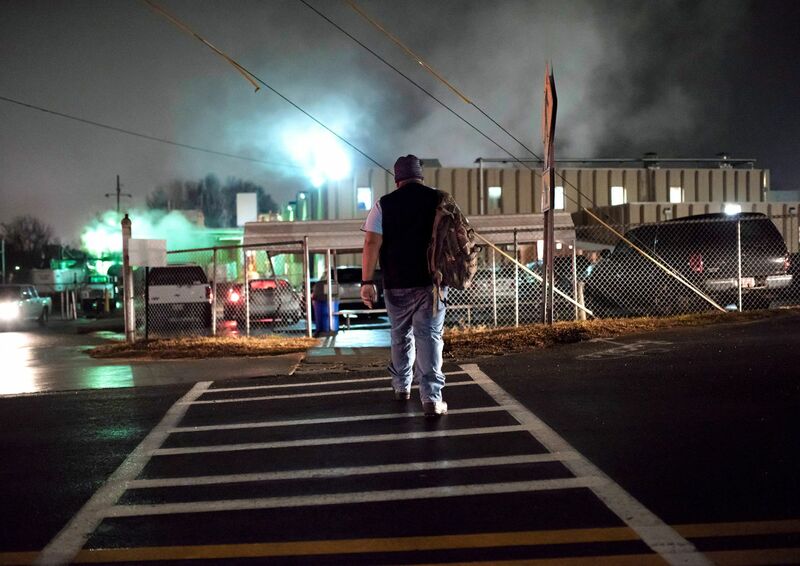 Cleanup at the slaughterhouse is as dangerous as it is repulsive, and the immigrants who do the work are under pressure to complete it faster than ever. No one knew her real name. At work she was Tiffany Sisneros, until her arm got crushed in a conveyor belt. She filed for workers’ comp as Martha Solorzano, born 1966. The doctor who evaluated her wrote down her last name as Torres. We’ll call her Martha, the name her lawyer uses. Like millions of undocumented immigrants, Martha lived in the shadows. She slept by day, worked at night, shifted names as circumstances demanded, and supported her family with scraps that fell her way from the U.S. labor market. She worked as a cleaner on the graveyard shift at Tyson Foods Inc.’s cavernous meatpacking plant in Holcomb, Kan. Every day up to 6,000 cows clamber off 18-wheelers lined up at the facility, 200 miles west of Wichita. They’re watered, then ushered into the kill box, knocked unconscious by a bolt gun, hung upside down with their hearts still pounding, and bled to death by a slash to the jugular. After the heads, hides, and hooves are removed, the carcasses are sawed in half, checked by U.S. Department of Agriculture inspectors, and sent down a network of conveyor belts to be butchered, boxed, and bar-coded by 3,800 workers in two shifts. The journey, from carcass to cargo ramp, takes about 40 minutes. After 11 p.m. the procession halts, and the sanitation crews move in. The only slaughterhouse job worse than eviscerating animals is cleaning up afterward. 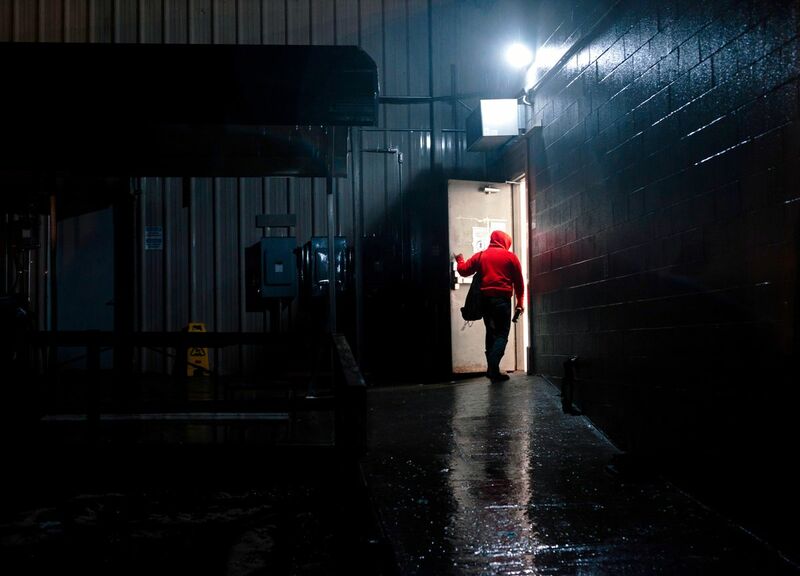 The third-shift workers, as the cleaners are often called, wade through blood and grease and chunks of bone and flesh, racing all night to hose down the plant with disinfectants and scalding water. The stench is unbearable. Many workers retch. It was about 3:30 a.m. on July 7, 2011, when Martha finished cleaning conveyor belt FC-3A on the main factory floor. After powering the machine back on, she realized she had forgotten to wipe down a spot where fat collects under the side rail. Such deposits, if neglected, can shut down a processing line, at considerable cost in lost output, if a USDA inspector discovers it during daily swab tests. So Martha reached under the moving belt to get at the smudge and lost her balance, she testified in her workers’ comp case. As she tried to brace herself, her left hand got caught in the machine’s roller, which reeled her in past her elbow, twisting and cracking her forearm. A supervisor heard her scream and shut down the line. Maintenance workers had to dismantle the guards and rollers to get her out. The radius and ulna bones could be seen sticking out of her arm, in shards. Most accidents at the Holcomb plant are covered by Tyson’s workers’ comp insurance. But Martha didn’t work for Tyson. The cleaning crew was employed by Packers Sanitation Services Inc., the nation’s largest cleaning contractor to the food industry. The meatpacking industry has a hard enough time filling daytime production jobs, so many bigger plants staff the night shift through contractors such as Packers. These companies pay their largely immigrant workforce up to a third less than what production employees earn during the day. Martha was getting $202 a week. Packers pays current employees an average of $11.86 an hour. Such is the genius of American outsourcing. In an era of heightened concern about food safety, meat and poultry producers are happy to pay sanitation companies for their expertise. The sanitation companies also assume the headaches and risk of staffing positions that only the destitute or desperate will take—very often undocumented immigrants. And they relieve the big producers, including household names such as Tyson and Pilgrim’s Pride Corp., of responsibility for one of the most dangerous factory jobs in America. The North American Meat Institute, an industry trade group, says OSHA data show that the injury rate is lower among sanitation workers than among meat production employees, and that total U.S. meatpacking injuries are at an all-time low. The industry has given “tens of thousands” of sanitation workers safety training with OSHA grants and made safety a “major focus,” the group says. But no one knows how many sanitation workers get sick and injured on the job, according to the U.S. Government Accountability Office, an arm of Congress. The Occupational Safety and Health Administration doesn’t require plants to report contractors’ injuries, and the highly fragmented sanitation industry uses multiple job codes, so cleaners fall through the data cracks, the GAO says. Judging from Packers’s record, the nightly storm of high-­pressure hoses, chemical vapors, blood, grease, and frantic deadlines, all swirling in clouds of steam around pulsing belts, blades, and blenders, can be treacherous. From 2015 through September 2016, Packers had the 14th-highest number of severe injuries—defined as an amputation, hospitalization, or the loss of an eye—among the 14,000 companies tracked by OSHA in 29 states, according to data analyzed by the National Employment Law Project, or NELP. Even that statistic understates the risks. With about 17,000 workers, Packers is a fraction of the size of the 13 companies above it on NELP’s danger scorecard, including the U.S. Postal Service (No. 1), Tyson (No. 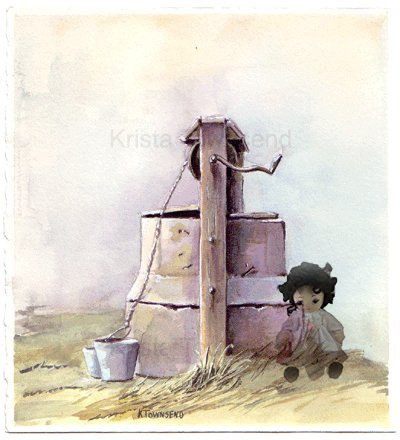 4), and Pilgrim’s Pride (No. 6). Adjusting for size, Packers topped the danger list by a wide margin, with a rate of 14 severe injuries for every 10,000 workers. Its amputation rate of 9.4 dismemberments per 10,000 workers was almost five times higher than for U.S. manufacturing workers as a whole in 2015. On the morning of Martha’s accident, Packers dispatched a technical-services manager, Salvador Diaz, to investigate. He drove north from Texas, arriving at the Holcomb plant at 6 a.m. to look around before going to interview Martha at the hospital. He caught her shortly after she woke up from three hours of surgery. She said the conveyor belt “grabbed” her as she was trying to clean beneath it, though she blamed herself for the accident, according to Diaz’s report. “I understand I have done wrong but never thought that it would catch my hand,” Diaz quoted Martha as telling him. Packers fired her. The company and its insurer argued in workers’ comp court that Martha wasn’t entitled to compensation beyond medical expenses, because she had recklessly disregarded its safety rules about powering down machines. Martha said she had cleaned under moving conveyor belts many times in her 22 months on the job without Packers managers ever saying a word. The doctor who evaluated Martha wrote that her left hand had suffered permanent nerve damage resulting in a “9% whole person impairment,” which could have ­entitled her to a maximum workers’ comp payout of $150,000. But the court sided with Packers, ruling the accident was entirely Martha’s fault. She got nothing. Martha vanished after that, melting away like many undocumented workers who are injured on the job. She could not be located for comment. Packers fared better. On the same day in December 2014 that the Kansas judge rejected Martha’s workers’ comp claim, Packers announced it had been bought by Leonard Green & Partners LP of Los Angeles, its third private equity owner in seven years. The purchase was financed with more than $550 million of debt. This November—35 months and at least 19 amputations later—Packers refinanced its loans and paid its investors a dividend of $339 million. Packers’ “aggressive approach” to minimizing areas of concern such as amputations has “greatly reduced” such incidents, Mitchell continued. Since 2015 cleaners have been instructed not to run blenders and augers while cleaning them, and supervisors increasingly power down all machines themselves. After reporting 14 amputations to OSHA in 2015, Packers reported only 3 in 2016. Mitchell called NELP’s analysis of OSHA’s severe-injury data “inflated and incomplete,” in part because the data included companies Packers had recently acquired and at which it was trying to improve safety practices. In Upton Sinclair’s 1906 novel The Jungle, the protagonist is injured in a meat plant and, like Martha, summarily fired. Sinclair likened the “unspeakable” conditions for European immigrants in Chicago’s meatpacking plants to slavery, only “there was no difference in color between master and slave,” he wrote. A century later, the racial component is back. Almost 30 percent of the nation’s half-million meat and poultry workers are foreign-born noncitizens, compared with 10 percent of manufacturing workers overall, according to the U.S. Bureau of Labor Statistics. More than a third of meatpacking workers are Hispanic. The proportion of sanitation employees who are immigrants isn’t tracked, but many workers and industry executives estimate it’s the vast majority in many places. Meatpackers tend to be scrupulous these days about checking the papers of ­production-line hires. Landing a job on the third shift, however, is easy for undocumented workers, especially at smaller plants and with cleaning contractors, immigrants say. All workers in the U.S. must have proof of identity and employment authorization, which companies are not obligated to verify as authentic. Employers are responsible only for misrepresentations the government brings to their attention. Perhaps most important: All sides know the feds rarely raid at night. They’re also more willing to do the work than U.S. citizens and holders of green cards, and, by some accounts, more able. “It’s sad to say, but it’s the gospel truth: Seven out of 10 Americans in the Deep South, whether black or white, will fail the drug test,” says Randy Hadley, local president of the Retail Wholesale and Department Store Union in Birmingham, Ala., which represents about 6,000 poultry workers in Alabama, Mississippi, and Tennessee. “Immigrants pass the drug test. That’s what companies tell us.” Nationally, about a third of poultry workers and roughly two-thirds of beef and pork workers are unionized, but affiliation is much lower among undocumented workers. “They’re too scared to sign union cards,” Hadley says. He lives with three of his sons in a decaying mobile home just outside Albertville on northeastern Alabama’s Sand Mountain, famous for its snake-handling preachers. He sent for each son separately in recent years. Just teenagers when they came, the boys paid smugglers $10,000 apiece to spirit them along the 2,300-mile trek from Guatemala through Mexico, across the Rio Grande, and on to Alabama, the last leg in the back of 18-wheel trucks. They’re still mostly invisible. They work at night, stay inside during the day, use back roads to avoid police, and never open the door for anyone they don’t know. Once, the family huddled inside as Immigration and Customs Enforcement agents snooped around the trailer park and knocked on their door for several minutes. “We just prayed to God, and they finally left,” Gonzalez says. He works now at a Tyson plant, an employee of a large cleaning contractor called QSI, owned by the Vincit Group of Chattanooga, Tenn. (QSI and Packers say they use the federal E-Verify system to confirm employment authorization.) The work is good, as these things go. He’s still haunted, though, by his previous job. For about 15 months, he and his oldest son, who is 22 and identifies himself as Miguel, worked sanitation at a small processing plant called Farm Fresh Foods LLC in Guntersville, Ala. The facility is typical of the makeshift warehouses that dot the back roads of chicken country, picking up deboning work and other butchering jobs from the big poultry producers. Most operate on thin margins—bad news for workers, particularly the undocumented, who are always the most vulnerable to abuse. Farm Fresh’s sanitation supervisor rode the cleaning crew without mercy, according to the Gonzalezes and other former colleagues, who filed a complaint with OSHA in 2016. They were forced to work at punishing speeds in ankle-deep water with floating fat and chicken guts. They were enclosed in poorly ventilated rooms with chlorinated cleaning products wafting in the air, severely limited in bathroom and water breaks. The chemical vapor caused heart-pounding insomnia, Miguel says. Several workers had to seek medical help. Workers who didn’t keep up the pace were moved to an extremely cold area of the plant as punishment. After pushing the 20-man crew all night, the supervisor would make them play a devious game before going home, Gonzalez says. To prepare the facility for the morning shift, the cleaners had to distribute 80-pound crates of raw chicken on the cutting tables. There were more workers than crates, and anyone caught empty-handed faced possible suspension or firing. 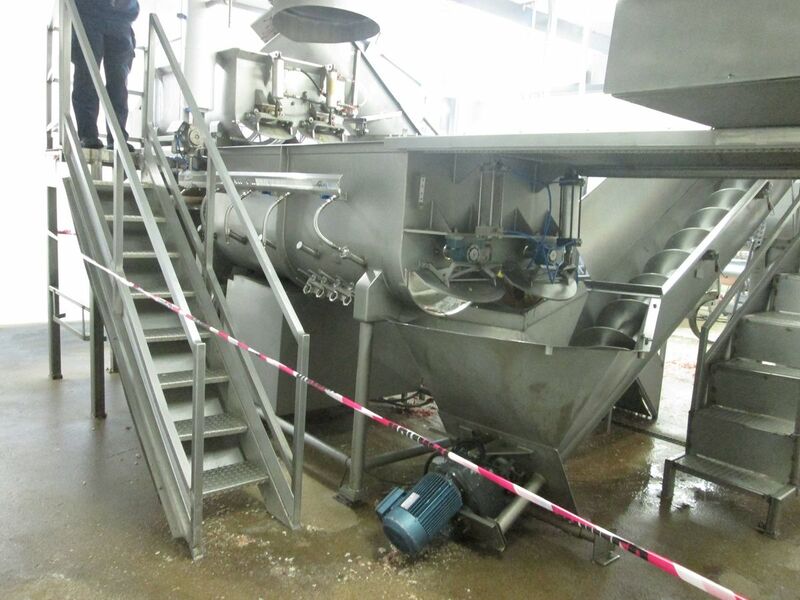 As a result, workers raced one another across the wet floor to get the heavy loads, causing injuries. “When we complained, they only got meaner,” Gonzalez says. After the cleaners met with Farm Fresh’s management to discuss work conditions, the company suspended them and refused to issue their last paychecks. The Southern Poverty Law Center helped them file safety and whistleblower complaints with OSHA, which has an agreement with other federal agencies not to act against undocumented workers at job sites while complaints are pending. OSHA fined Farm Fresh $29,000 for having inadequate drains and failing to provide proper protective gear against contaminated water, chicken waste, and chemical solvents and vapors. The company settled with the workers separately. Farm Fresh did not respond to inquiries for comment for this story. OSHA’s power has always lain more in its capacity to shame than punish. The fines for serious safety violations seldom exceed $20,000, a trifle for most manufacturers. Now OSHA doesn’t shame much, either. In the past, the agency called out safety violators in press announcements, often resulting in embarrassing hometown headlines about injured workers. But this year, under President Trump, OSHA has issued 121 press releases, compared with 546 last year under President Obama. The Trump administration has also stripped OSHA’s website of data on workplace fatalities, replacing it with highlights of the agency’s cooperative safety initiatives with industry. Among the Obama regulatory proposals that Trump’s OSHA has dropped this year is an updated standard for lockout/tagout, the crucial procedures workers should follow to shut down dangerous machines before working on them. And this fall, after the GAO reported that meat and poultry workers are suffering health problems from being denied bathroom breaks and fear punishment if they complain, OSHA rejected the GAO’s recommendation that its inspectors ask about bathroom access during plant visits. “OSHA does not routinely ask questions about any potential hazards that go beyond the scope of a complaint investigation, unless those hazards are in plain sight,” wrote the agency’s Loren Sweatt to the GAO in response to its findings. Meat and poultry companies have operated without much fear of OSHA since well before Trump took office, particularly in the Southeast. In 2016, when three OSHA investigators showed up at Mar-Jac Poultry in Gainesville, Ga., to investigate an electrical explosion that injured a maintenance worker, Mar-Jac allowed them to examine the site of the incident but nothing else. OSHA discovered a rash of other injuries in the plant’s injury log and tried to expand the search, but the company’s lawyer sent them away. When an OSHA inspector returned four days later to examine the blast victim’s tools, Mar-Jac’s attorney, Mark Waschack of Wimberly Lawson Steckel Schneider & Stine in Atlanta, said the inspector could walk through the plant to the locker room where the tools were located, but only if he agreed to wear a cardboard box over his head to blind him to any safety hazards. “Mr. Waschack stated that he had previously done this to two [inspectors] in two previous OSHA inspections,” wrote OSHA’s Robin Bennett in a court affidavit. Bennett refused to wear the box. Instead, OSHA issued a search warrant, which, at Mar-Jac’s request, a Gainesville federal judge quashed, saying OSHA lacked probable cause. The agency fined Mar-Jac $20,000 for violations linked to the explosion and appealed the search-warrant ruling last March to the 11th Circuit Court of Appeals in Atlanta, arguing the injury logs and electrical blast provided a “reasonable suspicion” of safety violations. The appellate court has yet to rule. Poultry producers across the Southeast, using Wimberly Lawson lawyers, have blocked at least 13 other OSHA searches. 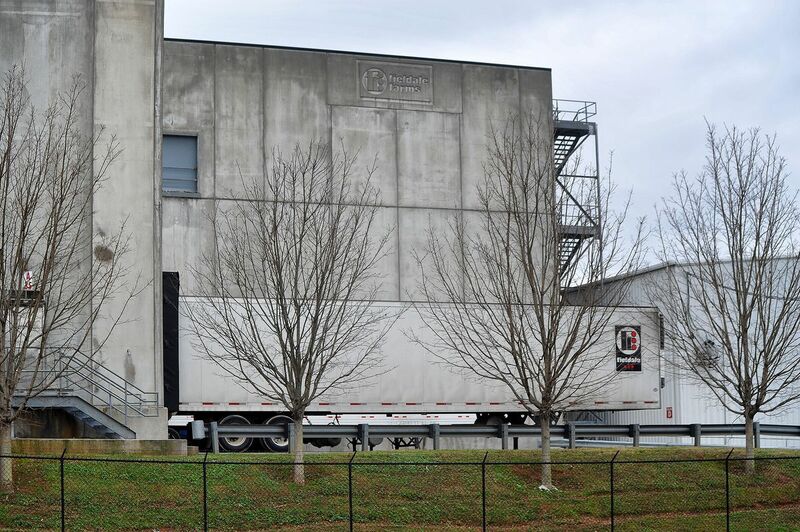 One, Fieldale Farms Corp., limited OSHA’s access in 2015 after a Burmese sanitation worker lost five toes in its Gainesville plant. Another, Gold Creek Foods LLC in Dawsonville, Ga., blocked OSHA from inspecting all but a single machine after one of its sanitation workers, just 18 at the time, lost an arm in a chicken cuber. OSHA fined Fieldale $9,800 for the shorn toes and Gold Creek $21,000 for the dismembered arm. Both plants had been fined before, but OSHA has still been denied access to do a full safety inspection. Fieldale did not respond to questions for this story. Gold Creek’s general counsel, Robert Weber Jr., said the company cooperated with OSHA, but he did not respond to questions about blocking the agency’s expanded inspection. Hundreds of pages of OSHA reports and other investigative documents obtained by Bloomberg through public-records requests point to a dark place in U.S. industry. And a protein boom could make matters worse. U.S. production of red meat and poultry is expected to hit a record 103 billion pounds in 2018, up 3 percent from 2017, according to the USDA. Processors are straining to add capacity and workers in order to keep up. With their allies in Congress, the poultry industry is pushing the USDA to lift limits on factory line speeds, a move the Obama administration resisted as unsafe. To meet output targets, production lines are operating later into the night, leaving fewer hours for sanitation workers to scrub down equipment before morning inspections, says David Greer, who’s managed chicken plants and sanitation crews for Pilgrim’s Pride, Perdue Farms, Gold Creek, and others since 1991. And the third shift is getting more complex and hazardous as meatpackers add automated blades, belts, and other gear to the nightly steam bath, with many not adding to crew sizes. Brent Sherman, 37, couldn’t keep track of all the modifications at Tyson’s meatpacking plant in St. Joseph, Mo. Early one morning in 2015, he was hosing down a Cozzini meat blender, capable of grinding 8,000 pounds at a time, when it did something he didn’t expect. Before starting, Sherman had set the blender’s controls on sanitation mode, ensuring it wouldn’t power up for 60 minutes; safety sensors on the machine were meant to keep it powered off until he reinstalled all the pieces, even if it took him more than an hour. What he didn’t realize was that someone had disarmed the sensors so it would automatically restart after the sanitation cycle, making it easier—but infinitely more dangerous—to hose down, according to OSHA’s investigation. When the hour was up, the blender suddenly jerked back to life, snagging Sherman’s hose and snapping off both his arms below the elbow. OSHA’s investigation found a sanitation culture of wanton bravado at the plant. Many sensors had been similarly disabled for faster cleaning, the agency discovered. A night-shift worker was a plant legend for his speed and daring, based on his refusal to power down a single machine during sanitation. Cleaning workers told OSHA that the only time they felt any pressure from Tyson managers to properly lock out machines was when a government inspector was expected at the plant. OSHA fined Tyson $35,000 in the Sherman case. Sherman is suing the company and Cozzini for negligence in state court, and both defendants deny wrongdoing. Tyson spokeswoman Caroline Ahn declined to comment on the case or Tyson’s injury rate. “We don’t want to see anyone hurt on the job and work hard to keep our team members healthy and safe,” she wrote in an email. Tyson promptly investigates accidents to avert recurrences and monitors sanitation contractors to ensure they abide by all training, health, and safety standards, Ahn wrote. And at worst? 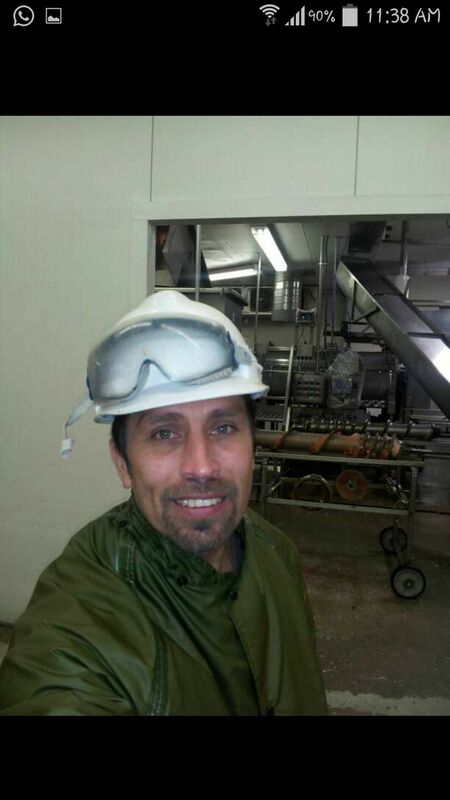 In 2013, Hugo Avalos-Chanon, 41, was cleaning a hamburger blender at Interstate Meat Distributors Inc. in Clackamas, Ore., when, investigators believe, his hose got caught in the machine’s paddles and pulled him in. His widow in Mexico is suing Interstate for negligence and wrongful death, claiming the night shift was a veritable death trap. There were no safety guards on dangerous machines, and workers were required to clean the equipment while it was running, according to court filings. Based on pretrial testimony, a Clackamas County judge is letting the widow seek punitive damages at trial. Interstate did not respond to questions for this story. In legal filings, the company acknowledges safety problems but says Avalos-Chanon’s employer, and hence the company responsible for his safety, was the sanitation contractor DCS Sanitation Management Inc. Interstate claims it paid DCS, which has since been purchased by Packers, a flat fee to assume full responsibility for the night shift. Oregon OSHA fined DCS $6,300 after Avalos-Chanon’s death. If we defeat Paul Ryan and swing the massive arm of change back toward working people, even a little, it will be worth the fight. This is the story of how we’re going to win. Randy Bryce is the Army veteran, cancer survivor, and union ironworker who is running to give working people a voice in Congress. Breathe and push: Sikh-American civil rights advocate Valarie Kaur‘s plea to her country in the times of Donald J. Trump. MOSCOW (Reuters) – Russian opposition leader Alexei Navalny was barred on Monday from running in next year’s presidential election after officials ruled he was ineligible to take part due to a suspended prison sentence he says was trumped up. The decision by the central election commission was widely expected as election officials had repeatedly declared Navalny would be ineligible to run. Twelve members of the 13-member commission voted to bar Navalny. One member abstained, citing a possible conflict of interest. Navalny, 41, who polls show would struggle to beat incumbent Vladimir Putin in the March election, said he would appeal and called on his supporters to boycott the election and campaign against it being held. “We knew this could happen, and so we have a straight-forward, clear plan,” Navalny said in a pre-recorded video released immediately after the decision. Navalny said he would use his campaign headquarters across Russia to support the boycott and monitor turnout on voting day, March 18. Polls show Putin, 65, who has dominated Russia’s political landscape for the last 17 years, is on course to be comfortably re-elected, making him eligible to serve another six years until 2024, when he turns 72. Allies laud Putin as a father-of-the-nation figure who has restored national pride and expanded Moscow’s global clout with interventions in Syria and Ukraine. Navalny says Putin’s support is exaggerated and artificially maintained by a biased state media and an unfair system. He says he could defeat him in a fair election, an assertion Putin’s supporters have said is laughable. Before the commission voted, Navalny, dressed in a dark suit, had demanded he be allowed to take part in the election delivering a speech that angered election officials. In one heated exchange, he said Russian voters’ faith in the system hung in the balance. “If you do not allow me to run, you are taking a decision against millions of people who are demanding that Navalny take part,” he said, referring to himself in the first person. “You are not robots, you are living, breathing human beings you are an independent body … for once in your lives, do the right thing,” he said. His supporters clapped him, but officials were unmoved. Ebzeev said there could not be “the slightest doubt” that Navalny was ineligible to run, a reference to Russia’s constitution that bars him running because of his suspended sentence relating to an embezzlement case. Navalny has repeatedly denied any wrongdoing, and says the case is politically motivated. There had been some speculation prior to the decision among the opposition that Navalny might be allowed to run in order to inject more interest into what looks like a predictable contest amid Kremlin fears that apathetic voters might not bother to vote. Navalny has been jailed three times this year and charged with breaking the law by repeatedly organizing public meetings and rallies.